Also serving communities of Hope Mills, Raeford, Dunn, Lumberton, Clinton. There are 4 Memory Care Facilities in the Fayetteville area, with 3 in Fayetteville and 1 nearby. The average cost of memory care in Fayetteville is $4,045 per month. This is lower than the national median of $4,650. To help you with your search, browse the 4 reviews below for memory care facilities in Fayetteville. On average, consumers rate memory care in Fayetteville 4.7 out of 5 stars. Caring.com has helped thousands of families find high-quality senior care. To speak with one of our Family Advisors about memory care options and costs in Fayetteville, call (855) 863-8283. Though this town in Cumberland County is best known for the Fort Bragg and Pope Air Force Base military installations, Fayetteville is also home to over 23,000 seniors, who make up 11.2 percent of the population. For those with Alzheimer’s and other types of dementia, there are three memory care facilities within the Fayetteville townsite and one in nearby Hope Mills. 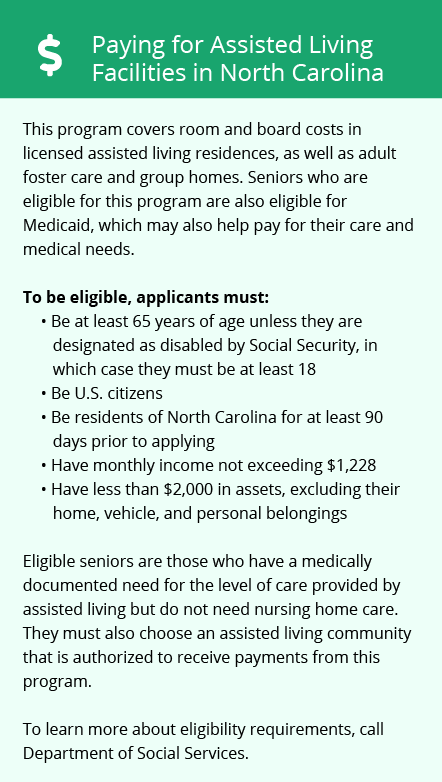 The North Carolina Division of Health Service Regulation licenses two types of memory care facilities based on the number of occupants: facilities that serve two to six residents are called family care homes, and facilities that serve seven or more residents are called adult care homes. Both serve seniors with Alzheimer’s disease and other types of dementia. Social Security retirement benefits are not taxed in North Carolina, and tax rates for other types of retirement income are modest. This may help offset memory care costs in Fayetteville, a town which already enjoys a cost of living that is 13 percent lower than the national average and nine percent lower than the state average. The Fayetteville area is tied with Lumberton and Laurinburg for first place for cleanest metropolitan areas for ozone and 24-hour particle pollution. Thanks to its stellar air quality, this city does not pose any extra health risk to seniors with asthma or other cardiovascular diseases. Sperling's Comfort Index rating for Fayetteville is 69 out of 100, indicating a relatively mild year-round climate. However, summers here are hot and humid, with temperatures reaching a high of 90.3 degrees Fahrenheit in July. When researching memory care facilities, it is a good idea to ask about their protocols for keeping residents safe from extreme temperatures. Fayetteville is home to world-class medical facilities, including those specializing in brain health and dementia care such as Cape Fear Valley Health, and Highsmith-Rainey Specialty Hospital in the event of medical emergencies or illness. Memory Care costs in Fayetteville start around $4,045 per month on average, while the nationwide average cost of memory care is $4,798 per month. It’s important to note that memory care rates in Fayetteville and the surrounding suburbs can vary widely based on factors such as location, the level of care needed, apartment size and the types of amenities offered at each community. Fayetteville and the surrounding area are home to numerous government agencies and non-profit organizations offering help for seniors searching for or currently residing in an assisted living community. These organizations can also provide assistance in a number of other eldercare services such as geriatric care management, elder law advice, estate planning, finding home care and health and wellness programs. To see a list of free memory care resources in Fayetteville, please visit our Assisted Living in North Carolina page. 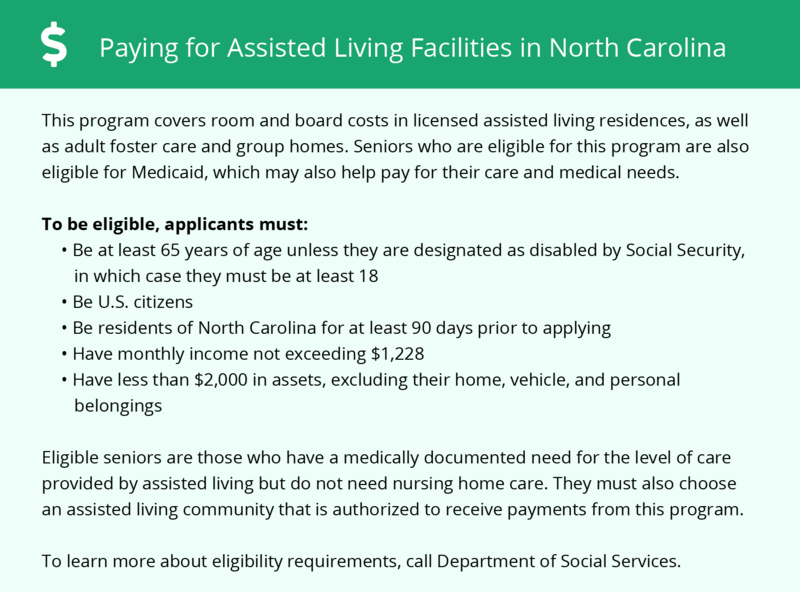 Fayetteville-area assisted living communities must adhere to the comprehensive set of state laws and regulations that all assisted living communities in North Carolina are required to follow. Visit our Memory Care in North Carolina page for more information about these laws.